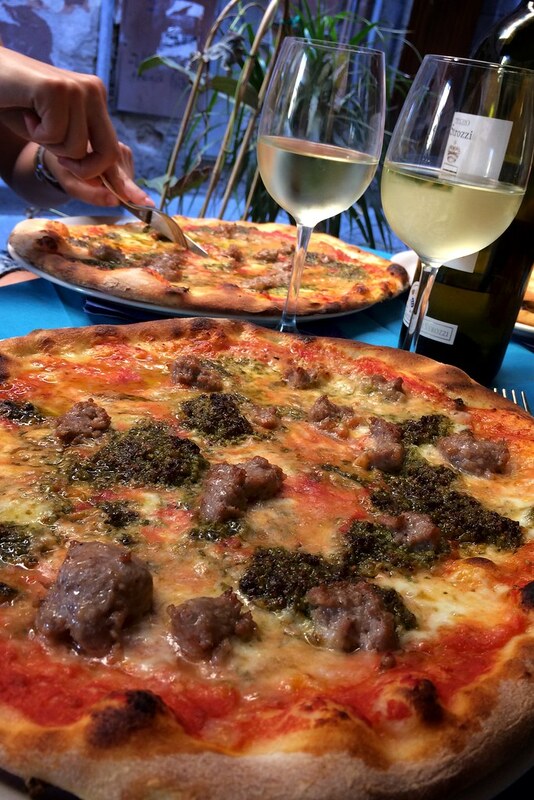 Italy Archive - No Regrets! 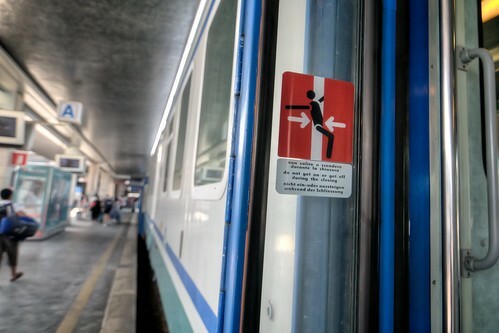 At Rome’s Termini station, we got on our Trenitalia (rhymes with “genitalia”) train and chilled out for 4 hours. We all got to know each other a bit, and Nader pulled out his Jack Daniel’s Tennessee Honey to loosen things up a bit. My iPhone playlist was judged to be weird but good. Except by Maddy, who made some snarky comment about it but later quietly sung along with one of the songs. Outside, we were treated to the Italian countryside with the occasional glimpse of the Mediterranean. 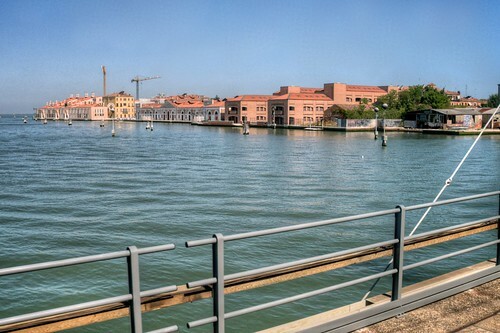 Pisa is a charming little town with the the leaning tower, of course, as the main attraction. After quick pizza lunch, we walked over to the famous tower. Got off the train and took to the streets in search of my B&B. It was cloudy and humid, and I was dripping with sweat before even getting to the place. It was a challenge finding it, with no signage on the outside and no address numbers for reference. But when I finally got inside, I was greeted by the flamboyant and friendly Laura. She seemed like a great host, but I didn’t stick around. Jet-lagged but buzzing on the adrenaline of being someplace new, I set off to explore Rome. Rome is about how I imagined it, hubbub of commercial strips, duotone police sirens, giant billboards, graffiti, gummed up sidewalks, and scooters. One thing there’s a lot of is fountains. I don’t know if it’s something that goes back to the aqueduct days of the ancient Romans, but there seems to be a fountain of fresh, drinkable water every few hundred meters. Romans are never thirsty. Italians have certain sense of style, with seemingly random combinations of clothes and colors that they wear with confidence. Everyone’s thin (so much for low-carb diets) and good-looking, but a bit part of that is their attitude. Everyone is flamboyant and confident and happy. There are also nuns everywhere. Some pigeons and I visited the Spanish Steps. Kind of cool, I guess, but not much to it. So I’ve been scrimping and saving up my vacation time for a couple of years to go on another big adventure. After a decade of amazing New Year’s trips, I’m starting to run out of good places to go that time of year, so I decided to start looking at suitable trips to take in the fall. I consulted my bucket list and cross-referenced it with tours offered by my two favorite small group travel companies, G Adventures and Intrepid, and came up with some great options. 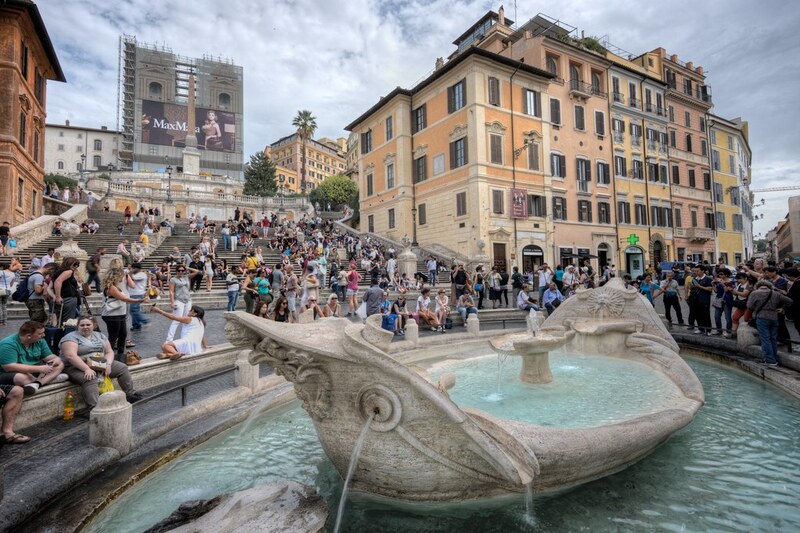 I briefly considered taking advantage of the economic struggles in Greece or taking a tour around Iceland, but in the end, I decided I could hit Italy, Barcelona, and Lisbon, all ranked quite highly on my bucket list, with the G Adventures Rome to Madrid on a Shoestring small group tour. But who to go with? My usual travel partner, Doug, didn’t have the vacation time. My other friends are busy having babies and working. I looked into some of the “find a travel buddy” websites like triptogether.com and travel-buddies.com, but they all seemed a bit sketchy to me. Do people really commit to spending several days with strangers? Is it just a global hook-up network? I don’t know if I could ever take a chance like that. So I decided to go solo. About six weeks ago, I sat at my desk at work and felt that familiar little buzz of adrenalin as I clicked the PURCHASE button on the G Adventures website. 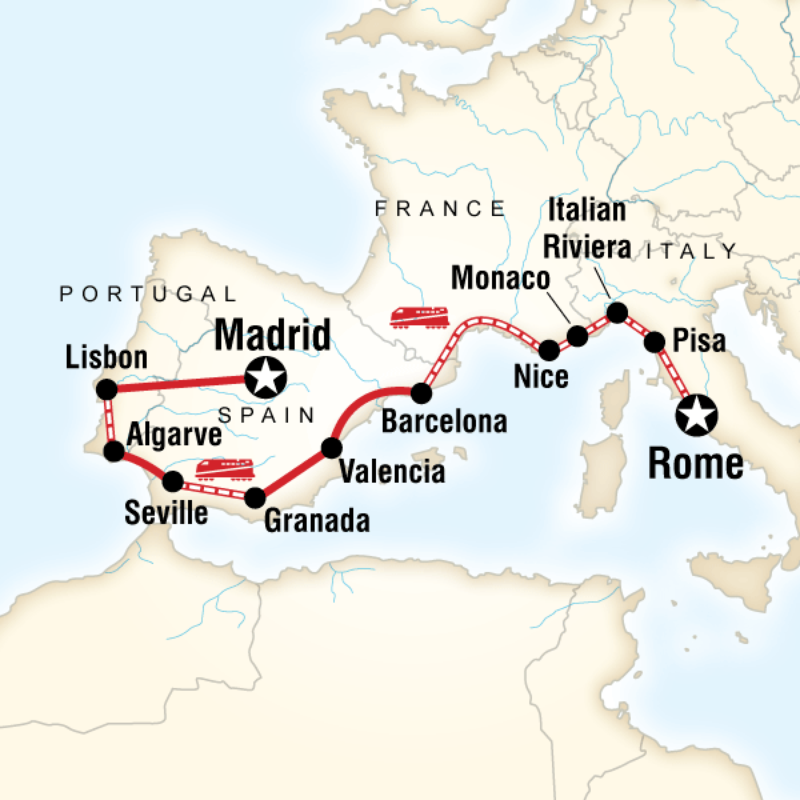 My trip starts in Rome and skips along the Mediterranean coast to Pisa, Genoa, Monaco, Nice, Barcelona, Valencia, Granada, Seville, Algarve, Lisbon, and finally Madrid. That’s 5 countries in 16 days. I haven’t been to any of these places before. Some of them, I’ve never heard of. I haven’t been this excited about a trip in a long time. Frank and Alex are continuing on a tour through the rest of Italy with Intrepid, giving them another week in the country. For a while, I thought about changing my plane ticket and joining them, but a girlfriend and work commitments at home prevented me from doing so.